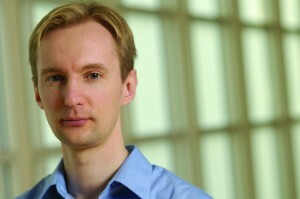 Gritsan, a member of the Henry A. Rowland Department of Physics and Astronomy at Johns Hopkins, was a member of the CMS (Compact Muon Solenoid experiment) collaboration and co-leader of a group that investigated one of the most promising avenues to revealing how Higgs could be found and studied. The Higgs boson, or so-called “God particle,” was first proposed in the 1960s and was needed to fill in the largest gap in the Standard Model, the leading theory in fundamental particle physics. Its existence would signify the existence of a field that permeates all space and imbues the matter in the universe with mass. To speak to Gritsan, contact Latarsha Gatlin at 443-997-9909 (office), 443-608-6498 (cell) or by email at lgatlin1@jhu.edu.